Ever since Sky Dragon received a summons from Toronto Public Health in August for serving mystery meat ( "Operator fail to provide approved meat" ), I’ve been on the lookout for a new cheap place for dim sum. I won’t go to Sky Dragon ever again, but for a while, it was my go-to place for cheap dim sum. I came across Rosewood Chinese Cuisine on Valentine’s Day this year . Michelle and I were supposed to meet at King’s Noodle Restaurant for lunch but she was running late, so while I waited for her, I decided to check some food apps to see if I could find someplace new we could try. I arrived at Rosewood, a relatively new restaurant with modern decor, just after 12 noon and waited in line to get a table. By then, the restaurant was already full, but the line-up didn’t look too long. Apart from the modern decor, my first impression was not very good though. It was very disorganized and hard to tell who was waiting in line for take-out orders (or waiting to pay?) and who was waiting for a table. Once I made it to the front of the line and asked for a table for two, they had me go upstairs and wait in line again. For the longest time, it was as if I was invisible. I knew they could see me, but did they know I was waiting for a table? Was I supposed to flag them down and let them know? No one came to acknowledge me or ask how many people were with me so they could start getting a table ready. Michelle arrived while I was still waiting for a table, which ended up taking a lot longer than I expected. And then, after less than a minute of being seated at a large table for six (even though we were just two) we were asked to move to one of the booths instead since a group of six had just arrived, and a booth had just become available. Not a huge deal, but if it wasn’t already, their lack of organization was becoming super obvious. The upstairs corner where we were seated had this real funky smell – Michelle and I agreed that it smelled like pee. Like I said, not a very good first impression, but I think the smell bothered her a lot more than it bothered me. What did bother me, however, was having to request a new plate and spoon because the ones on the table, which was freshly wiped down and set before our eyes while we were being seated, were dirty. The replacement spoon I got back was also noticeably dirty, worse even. After finally placing our order, I was able to better appreciate their furnishings — the booth was very comfortable, the table was nice, the decor was tasteful, but their tea cups were chipped and had obviously seen better days. While sipping tea from our chipped cups, we were entertained with the circus that was unfolding before us. The wait staff were extremely unorganized, had no systems, procedures or protocols and were all over the place, almost as if it was their first day on the job and their very first day being open. I was sad to find out when I got home that they’ve actually been open for three years already. What a circus! It was a bit of a wait for our food to arrive, as I expected it would be, but surprisingly, not much longer than average. As I suspected, it was immediately apparent that their kitchen was much more on the ball than the wait staff. Once our food started arriving, it was one dish after another, and they all looked very presentable. The Shrimp Rice Rolls were the first to arrive. A little starchy, but very nice overall. The shrimp were nicely seasoned and it seemed the rice roll itself had pepper and garlic — a very flavorful interpretation. The rice wrapper on the Har Gow was a little thick for my liking, but Michelle seemed to like that it too tasted seasoned. The Siu Mai was very fatty and a touch too salty but very decent for the price. The fish roe on top was a nice touch though – most cheaper dim sum places cheap out on the fish roe, so it was nice to see Rosewood not cutting those same corners. The Crispy Shrimp Rolls were deep fried in very fresh, clean oil and were indeed, very crispy. Nice. It was no surprise then, that the Crispy Shrimp Dumplings with Salad Dressing were also very well made and perfectly crispy. They were a tiny bit over-fried, but that’s being super picky. The Beef Balls on Peas were surprisingly good — above average for sure. Very very soft and flavorful, but also noticeably lacking the vinegary worcestershire "dipping sauce" that normally accompany these. I didn’t miss it too much though. The Ginger & Scallion Beef Tripe, (one of my favourites), was soft, very well made, not too chewy and prepared with ample amounts of ginger to give it lots of flavor. It was chopped a little bigger than I’m accustomed to seeing these days, but it was very delicious and not tough at all. I was a bit conflicted with the Shrimp and Coriander Dumplings though. On the one hand, the wrapper was overly starchy and way too sticky to be enjoyable. But on the other hand, the filling was simply divine! The Pan-fried Pork Dumplings were a touch too sweet and nowhere near as good as the ones at Rol San, but very average overall and mostly unremarkable. I was getting full by the time the Shrimp Dumplings in Soup arrived, so it was good that they were very light and somewhat delicate. The accompanying broth was very clear but also very plain and bland. Given how flavorful and slightly salty the shrimp dumplings were though, it turned out to be a very good balance. Obviously, someone thought this one through. If I’m allowed to be picky, I’d say they could have used a touch of ginger. The Black Bean Spare Ribs arrived last and after a very long delay. Everything else arrived one after the other, but it was almost as if they forgot the spare ribs until the last minute. Had they forgotten, I wouldn’t have minded because we were already stuffed by then. But they were actually quite good. Less black beans than I would have liked, but a lot more meat on the bones than I was expecting at this price point. The dim sum at Rosewood was a lot better than I had hoped, especially for the price. (Much better than Sky Dragon even, not that Sky Dragon is even an option anymore, at least not in my books.) 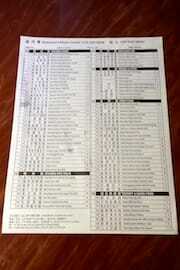 Most "all day" dim sum places use smaller dim sum menus during the week with expanded menus on the weekend, so it was very surprising to see Rosewood with such an expansive dim sum menu on a weekday. There are a lot of things on their menu that I’m looking forward to going back and trying! As much as I hate to beat a dead horse, I also can’t overstate how catastrophically disorganized their wait staff were though. And then, when it came time to pay, that was another disaster. We ended up spending just over two hours at Rosewood and a large portion of that time was spent waiting to pay. Someone was going to bring the debit machine to our table so we could pay, but after I saw her putting on her jacket and leaving, I knew she must have forgotten. Rather than delegating tasks, all of them were doing the same things, they had no "sections" assigned but were just serving everybody together and all with extremely poor communication amongst themselves. Mind-blowingly unorganized. You should never have to wait more than 30 minutes just to pay! Granted, exceptional service is not something thing that comes to mind when most people think of Chinese restaurants. To their credit, the service at Rosewood was never rude or unpleasant. it’s not that they’re coming at it from a "take your money and rush you out the door" standpoint like at some places that end up offending. I think it’s just a serious lack of experience and a grave absence of leadership that’s the problem. it’s easily fixable with the right person running the show! Clean bathrooms are another thing that most people don’t usually associate with Chinese Restaurants, but the men’s bathroom at Rosewood was way above average for Chinatown. Many new/renovated restaurants seem to go with dark colors and dim lighting these days, so it was refreshing to see Rosewood opt for off-white, neutral colors with ample lighting. Sure, the illuminated sink constantly changing color was too gimmicky for my taste, but the important thing was that it was clean. And this was immediately following the lunch rush! Kudos. By far not the best dim sum to be had in Toronto, but very respectable dim sum nonetheless and great value for the price. The food is the reason to go to Rosewood and it’s good enough to forgive their colossal shortcomings in the service department. I can’t wait to go back and try more items from their menu. it’s looking like Rosewood might become my go-to place for dim sum! 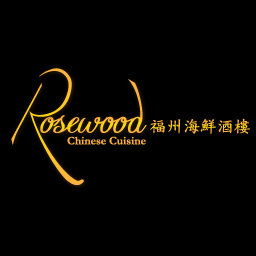 Rosewood Chinese Cuisine was published on Monday, February 24, 2014 at 2:36pm EST by Daniel Menjívar and last updated on April 11, 2018 at 9:30pm UTC .